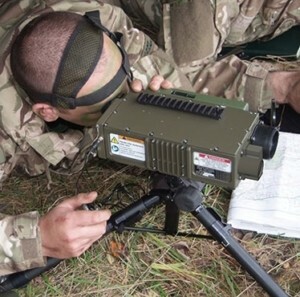 A man-portable laser designed to provide laser designation for semi-active laser guided weapons, the Type 163 enables Joint Terminal Attack Controllers (JTACs) to direct close air support for ground troops in combat operations. Traditionally, laser target designators have proved too heavy and bulky for JTACs to take into front-line operations which is why Leonardo developed the Type 163, building on its previous experience with military lasers. The growing demand for the Type 163, which has been deployed by US Special Operations Forces, the US Air Force and the US Air National Guard, has led to this new supply agreement with Lincad. The battery being supplied is a detachable, side-mounting, ruggedized 18V, 3Ah Li-ion battery. Weighing less than 400g, it offers an effective solution to the critical weight issues and is designed with shrouded contacts and retractable latches for snag-free storage. The associated power adaptor allows for the prolonged operation of the Type 163 from an alternate variable voltage power supply such as a vehicle battery. It has power filtering, management and regulation electronics to ensure smooth operation of the laser from a 10V to 32V DC source, connected via a military round connector. The adaptor also serves as a recharging unit for the battery. The filter adaptor acts as an interface with a standard in-service battery. This greatly increases the operational functionality of the Type 163 by increasing the available sources of power in different operational scenarios.